Yeah, Minecraft: Pocket Edition 0.17.0. This version is a surprise for all players because release was not previously announced. Subscribe to the beta test and you are the first to get the new version of the game! 0.17.0 is one of the most interesting updates which is full of amazing innovations. Perhaps the End is the main feature, almost all the players waited for this. When the game starts you will see a new menu. Now you will not find «Realms» tab here, it was removed. 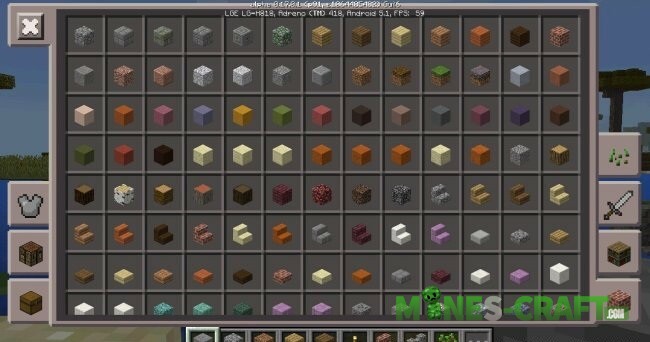 The second very interesting innovation of MCPE 0.17.0 is a new graphical interface. You can also use the previous interface, but if you want you can switch to the classic GUI. To do this, go to Settings -> Show Advanced Video settings, then select – «UI Profile» -> «Classic». All is ready, now you will see a more familiar interface for you. The main advantage of this menu is that there is a search box, so you can easily find the necessary object among all blocks and items. Just type the name of the object and you will get it. After the interface, we can move on to the gameplay of 0.17.0. Meet the new mob — Shulker, you will definitely see it. Developers have added another neutral mob — Polar bear, in addition to Shulker, silverfish and other! 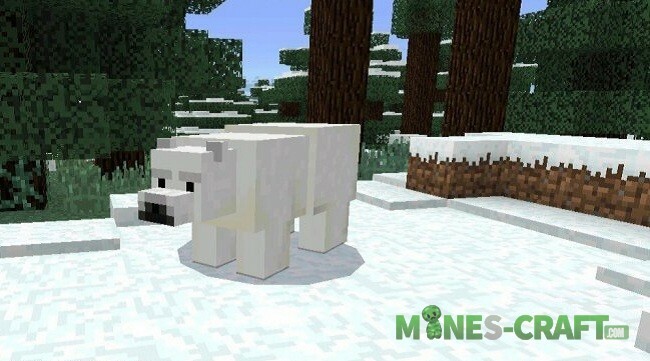 You can find the polar bears in Minecraft 1.10.2, and today this feature appeared in the Minecraft PE 0.17. Polar bears can be found in snowy biomes such as tundra, ice spike plains, ice hills. Another cool new feature is the elytra! If you always wanted to flythen now you can easily do it. First of all you need to climb on any high mountain, then the epic and exciting flight above the ground will be guaranteed. When you begin to fall down, press the jump button again. After that you will begin to slowly float above the earth. And that’s the main thing — The End, Ender Dragon and all that is connected with the new dimension. First, find a portal through which you will be teleported to the End. The portal can be found in underground fortresses. Once you find it, you need to perform activation. To activate the portal you need 12 Enderman eyes. Put one eye in each block. Done, the portal is activated ready for a little trip. Without any fear jump into the portal and you will be teleported to a incredibly amazing dimension. Well, you will see the beauty of the new world and do not forget to take the weapons and armor, it will be useful.